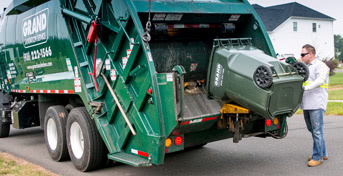 Grand Sanitation Service provides curb or backyard residential trash disposal service. Service is available for single or multi-family residence. A free toter is available in most areas. Grand Sanitation Service is pleased to provide senior discounts. 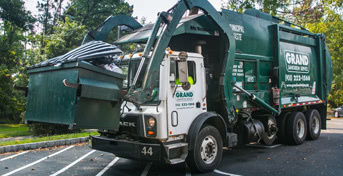 Weekly or daily commercial service is available from Grand Sanitation for front or rear load containers. Including office, apartment, restaurant and retail customers, we specialize in ally or difficult pickup locations using the newest fleet of trucks and containers in the area to ensure reliable service. 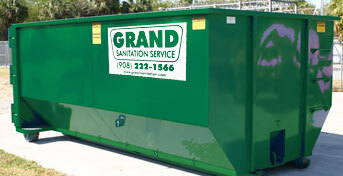 Grand Sanitation Service provides roll-off service for industrial, commercial or residential homeowner needs. Choose from stationary/self-contained compactors, on call open top contractor service, and home owner mini dumpster for clean up jobs. Options include dumpsters from 10-40 yd. 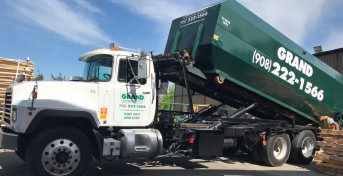 Choose Grand for any of your trash compactor or recycling compactor needs. Same day service is available in New Jersey, providing your choice of new or refurbished equipment for factories, stores, apartments, grocers, and more. 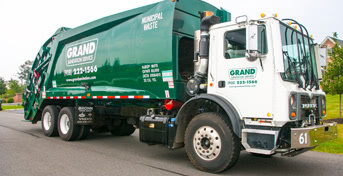 With Grand, no compactor job is too big or too small. With Grand you can care for the planet while you care for your home or office. We provide single stream or commingled recycle service on daily or weekly schedules. Take advantage of recycling service for paper, plastic, cans and bottles. A recycling coordinator is available for free consultation.